Got a bit of catch-up posting to do, and now another atrocity in Barcelona. Here is something from yesterday’s Financial Times taking a longer view of the terrorist threat in general. Most organised human societies are plagued by terrorism. Within any structured system there will be a political spectrum, and at the ends of this spectrum there will be extremes populated by people who feel the rest of the society is not hearing a political message they need to be awoken to. Last week, Jonathan Evans, the former head of the UK security service MI5, said he believes that Britain will have to confront Islamist terrorism for at least another 20 years. And the reality is that once we have dealt with that strain of the virus, it will simply morph into a new form. To get to the origins of violent Islamist terrorism, one has to go back far beyond the spectacular attacks on the US on September 11 2001 to 1979, a year that rocked the Muslim world. The Iranian revolution, the Soviet invasion of Afghanistan and the siege at the Grand Mosque in Mecca by a group of fanatics all showed the violent force of fundamentalist ideas and their power to upend the established order. These three events showed how violent political movements inspired by Islamic theology could threaten superpowers. This was the lesson drawn by the architects of al-Qaeda’s confrontation with the west that culminated on 9/11. Isis is in many ways simply an evolution from that. The attacks on New York and Washington DC almost 16 years ago were not the first time that terrorism had been visited on the west, of course. Before 9/11, Europe had endured successive waves of terrorist violence. Those responsible included right and leftwing groupuscules, separatist outfits such as the IRA and Eta, Middle Eastern networks often linked to the intelligence services of hostile states, and (in the case of France in particular) violent Islamists linked to Algeria and the conflict in Bosnia. The US, for its part, saw numerous violent groups active throughout the postwar period — from white supremacists through leftist organisations such as the Weather Underground to the rightwing “patriot” movement to which the Oklahoma City bomber Timothy McVeigh had connections. But all this was superseded by the 9/11 attacks. They transformed our understanding of terrorist violence. 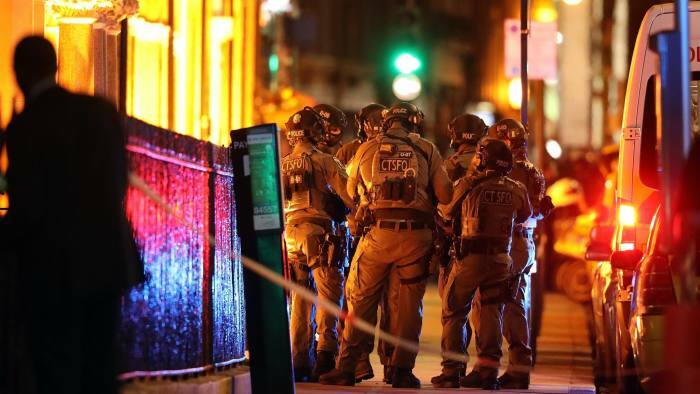 Overnight, Islamist terrorism became the main concern of western security services. And with good reason — al-Qaeda’s organisational effectiveness and ambition, demonstrated by the 9/11 attacks, was like nothing that had been seen before. Previously active movements appeared to fade away or retreat, their activity dwarfed by the magnitude of what al-Qaeda had done. But they did not disappear. While some turned to the negotiating table, very few gave up. Leftwing groups continue to wage letter-bombing campaigns in parts of Europe, while the extreme right is enjoying a renaissance across the west. Eta and the IRA have for the most part given up violence, but Irish-related terrorism remains a major concern for British security services. And many other groups continue to exist in reduced but still active forms. Terrorism, it seems, never quite goes away. More salient, the individuals involved do not go away. Some die fighting, some move on and some are incarcerated, but others stay free and continue the struggle even as they grow older. The recent attack at London Bridge showed how a specific group, al-Muhajiroun, continues to pose problems over 20 years after it was launched in the UK. Older preachers talk to younger acolytes, creating a self-supporting structure in which followers eventually become leaders and in turn find their own recruits. This self-generating cycle means that eradicating these groups is a lengthy process that only really comes to an end when one ideological wave is overtaken by another. For that to happen, an ideology must first wear itself out. But there are no signs of that happening with the current wave of violent Islamism. Al-Qaeda is reconstituting itself on the battlefield in Syria, while its affiliates in north Africa, Yemen and east Africa continue to thrive. Isis may be losing its capitals in Syria and Iraq but, as continued attacks around the world show, it retains some potency. Terrorism did not start with Isis or al-Qaeda. Nor will it end with them. The current reigning Islamist ideology and groups may be overtaken by events, but they will undoubtedly be replaced by others. And, as Mr Evans pointed out, the long tail left by generations of followers means that security services will be watching people warily for some time yet.